Oxford-based online solutions provider, Ebbon-Dacs, has launched moDel VM, a new, standalone version of its market-leading moDel vehicle delivery and collection solution, which completely automates the new vehicle delivery and used vehicle collection process. The moDel solution, which a joint venture between Ebbon-Dacs and motor accessories supplier, VGroup International, allows users to remarket their vehicles more quickly, efficiently and effectively, as well as capturing all relevant information electronically and removing all paper from the system. 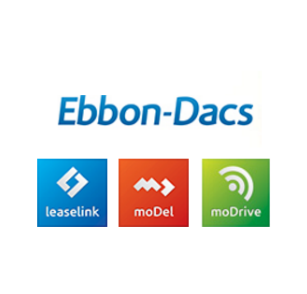 The moDel solution currently handles around 4,500-5,000 vehicle movements per month across the fleet market and is being employed by 11 of the UK’s largest contract hire and leasing companies, who are also users of Ebbon-Dacs’ Leaselink number one rated e-procurement platform. The latest adopters of the moDel solution include top ten leasing companies, LeasePlan and GE Capital Fleet Services, who join a community of leasing company users which between them operate around 750,000 company vehicles. The moDel solution has been designed to allow Leaselink users to automatically upload all electronic vehicle delivery and collection information directly into the Leaselink platform, thus cutting time, errors and needless administration, and speeding up the time to market. Now, following the launch of the new model VM solution, the same level of functionality is available to companies which are responsible for large movements of vehicles, but which are not necessarily members of the Leaselink trading community, such as logistics companies, daily rental suppliers and auction houses. The latest generation moDel VM offers the very latest functionality and features, including improved photographic capabilities to more accurately record and assess the condition of collected vehicles, along with more detailed, but easier to use, damage reporting which can be relayed instantly to end users. The damage reporting functionality has been extended, using a ‘dynamic flat car’ schematic to allow specific areas of the car to be captured in more detail, including individual items of the vehicle’s specification. This vehicle condition information can then be uploaded instantaneously to users’ websites, allowing used car traders to bid for the vehicle in an electronic environment, helping cut down the remarketing period to as short a time as possible. The moDel VM solution works perfectly on tablet computers which use the Android 4.0 operating system or newer, while an inbuilt compatibility app allows users to check whether their device is fit for purpose. moDel product manager, Michael Terry, said: “We are delighted with the success to date of our moDel solution, but customer feedback showed us there was a demand from amongst companies that were not members of the Leaselink community.